Have you ever wondered why the building materials that are used above large openings in walls that are created for windows or doors don’t collapse? Probably not. Most homeowners don’t give much thought to it, but the materials that sit over these openings are supported by structures called lintels. These lintels are designed to hold up the top of the opening and to add an aesthetic value to your home. However, every now and then, you will need a San Antonio foundation repair company to come fix a lintel for you. Here is how a contractor in San Antonio will do it. Lintels can be made out of a variety of different materials, including wood, stone, concrete, and steel, and you need to know what to look for when you are looking for potential problems with each of them. For example, wood lintels can rot over time or crack, while iron or steel lintels can warp, bend, or rust. 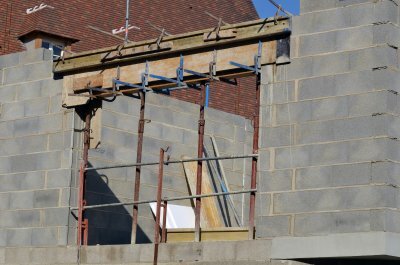 A foundation repair company can take a look at your lintels if you notice that the area above an opening is sagging or on the brink of collapsing to see what the problem might be. If you do have an issue with your existing lintel, you will need to have a contractor replace it for you. You will also need to choose what type of lintel you would like to install based on your needs. If your home has foundation problems, you might want to steer clear of a concrete or stone lintel since they tend to crack more easily than other lintels. Steel might end up being your best option since these lintels offer great structural support and are easier to install than other lintel types. After you have identified the problem and picked out a new lintel, a contractor can usually install your selection in a relatively short amount of time. You will add the support you need to your opening and prevent problems in the future with your new lintel.